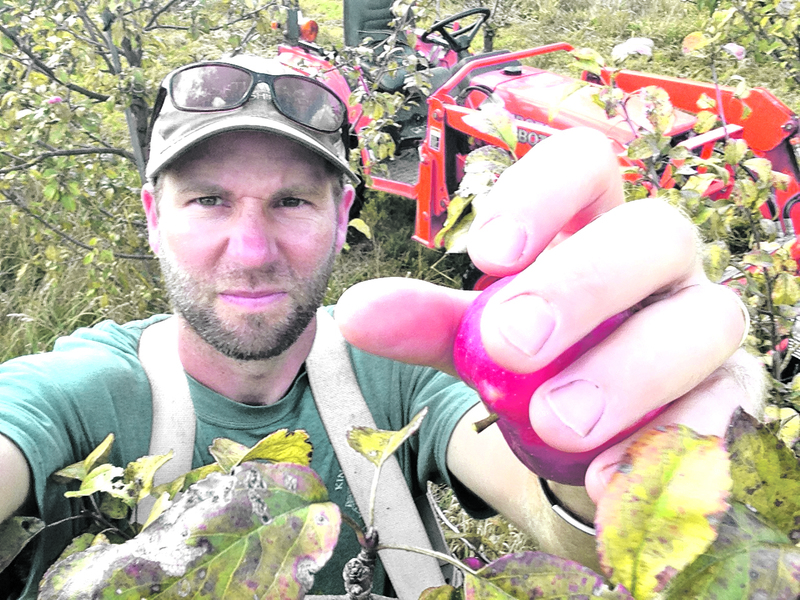 Ben Applegate is the apple orchard manager for Eden Specialty Ciders of Vermont’s Northeast Kingdom region. He has worked in cider production since 2009. “The orchard that I manage, I manage holistically. It’s a process of not using very many chemicals. It’s rather to help support the health of the trees and be respectful of all the microbes living around the trees and fruit,” Applegate said. Eden Specialty Ciders, founded in 2007 by Eleanor and Albert Leger, is a five-acre apple orchard and boutique producer of ice ciders, heritage ciders and aperitif ciders using traditional, Old World wine making techniques. Applegate said the owners were inspired to produce cider after a trip to Montreal where they were presented with a tray of ice cider with dinner. “With the cold winters, apples were available to grow so they cold freeze the juice and make what is similar to ice wine, but made of apples,” he said. Eden is committed to supporting small, sustainable apple growers and on its own five-acre orchard they grow over 50 heritage apple varieties in a biodynamic management system. “The apple orchard was always seen as experimental for producing ciders. 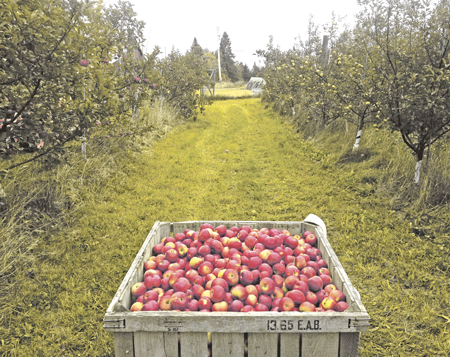 We have always purchased a lot of cider apples from Vermont and New Hampshire growers,” Applegate said. Macintosh, Cortland and Empire apples – fruits that are more readily available – go to a much larger press and come back as juice for fermentation, according to Applegate. 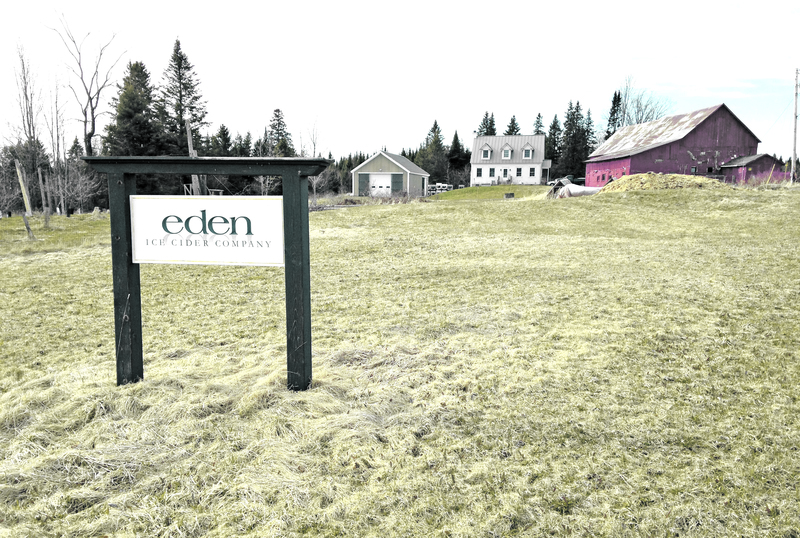 As a small craft producer, Eden Specialty Ciders started locally in Vermont’s restaurants and beverage stores. Today, their ciders are sold along the East Coast, in Chicago and in parts of the West Coast with plans for further expansion. Applegate said the company’s strategy is to make fine quality ciders, having a hands-off approach to cider making by not trying to alter the process much and not intervening in the growing process much either. “Our guiding principle is to let the apples speak for themselves,” he said. Applegate attributes the company’s success to their ice cider, which is added as a sweetener to their cider products. “An edge we have is we have a really amazing sweetener so it’s not just sugar,” Applegate said. “It is an apple-flavored liqueur. The ice cider process is such that we are taking a large volume of apple juice, freezing it and extracting the concentrate. It comes out incredibly sweet. Applegate said by using ice cider as a sweetener consumers are not only getting sugar, they are getting an apple-concentrated flavor as well. Ice cider has a greater demand in autumn and winter, being used for special occasions, Thanksgiving and the holidays, Applegate said. 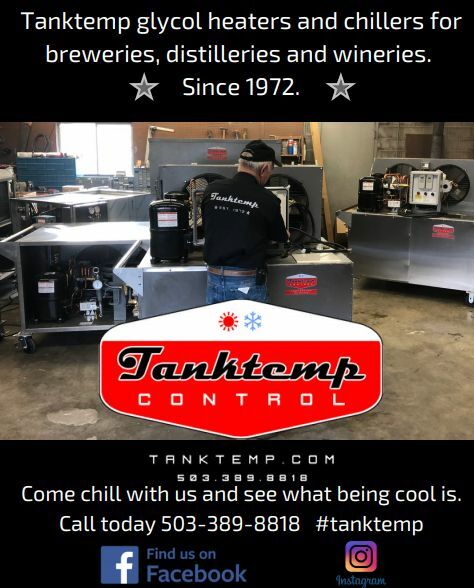 “This time has traditionally been our biggest for sales of ice cider,” he said. Applegate noted hard ciders are coming to be used year round as a refreshing drink. “There is demand in the summer. [Hard cider] may be more refreshing than a beer,” he said. “We are trying to increase sales throughout the year and I think as cider culture develops in the U.S. it is starting to show itself because people are starting to drink ciders year round now,” Applegate said. He added that with the way the dynamics are in the cider world, you have really big producers and then you have craft producers. A lot of the craft producers are competing with one another because of the low volume of consumers, hopefully carving out local markets. 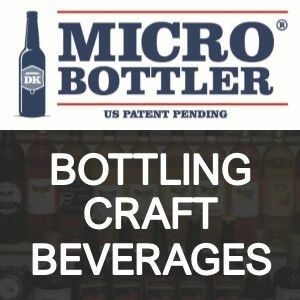 “We are bridging this gap by being a craft producer that is moving into a medium-sized market,” he said. For further information, visit www.edenciders.com.